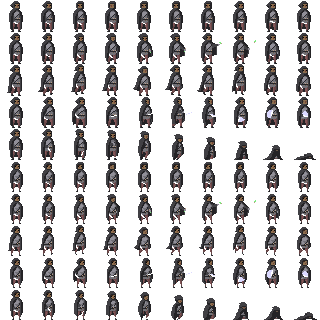 Animated Rogue by Calciumtrice, usable under Creative Commons Attribution 3.0 license. I love this set. I hope it becomes quite large and expansive. I follow your game art.please do more boss and environment. keep going. yeah me loves it too, maybe do some boss 2x bigger than those, minotaur? werewolf? Oh, this is brilliant. I love your style! Your sprites and tiles are awesome!